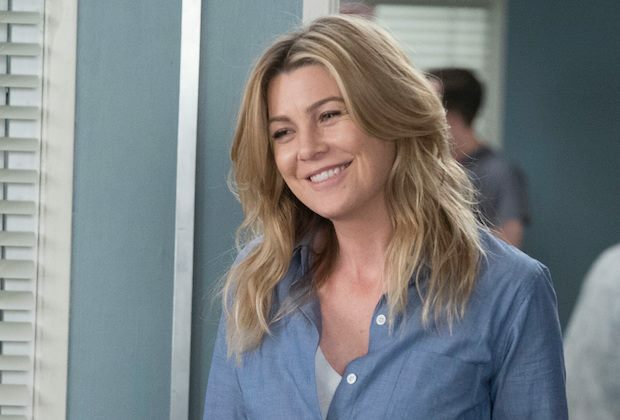 Viewers can expect something romantic to happen between Dr. Meredith Grey (Ellen Pompeo) and Dr. Andrew DeLuca (Giacomo Gianniotti) in “Grey’s Anatomy” Season 15 episode 12 titled “Girlfriend in a Coma.” Some are wondering whether or not they will speak to each other in Italian during a date. Meredith and DeLuca have many things in common. But perhaps the most interesting one is that they both speak Italian. Finally, Meredith has agreed to go on an official date with DeLuca and it is going to happen on New Year’s Eve. Previously, she has been giving him a hard time while he keeps on pursuing her despite his jealousy of her growing connection to Dr. Atticus “Link” Lincoln (Chris Carmack). A patient will play an important role in “Girlfriend in a Coma.” The patient will help Meredith become clear on her love triangle with DeLuca and Link. The strain on the marriage of Dr. Miranda Bailey (Chandra Wilson) and Dr. Ben Warren (Jason George) will reach a crisis. Also, Betty Nelson (Peyton Kennedy) will drop a bomb on Dr. Owen Hunt (Kevin McKidd) and Dr. Amelia Shepherd (Caterina Scorsone). Also featured in “Girlfriend in a Coma” are Dr. Alex Karev (Justin Chambers), Dr. Richard Webber (James Pickens Jr.), Dr. Jackson Avery (Jesse Williams), Dr. Jo Karev (Camilla Luddington), Dr. Maggie Pierce (Kelly McCreary), Dr. Teddy Altman (Kim Raver), Dr. Levi Schmitt (Jake Borelli), Dr. Thomas Koracick (Greg Germann), Dr. Nico Kim and Dr. Catherine Avery (Debbie Allen). Airing on ABC on February 7, 2019, the episode was written by Kiley Donovan and directed by Allen. Jack Landron and Joshua Bassett are making their “Grey’s Anatomy” debut in “Girlfriend in a Coma.” Their respective roles are named Chaplain and Linus.